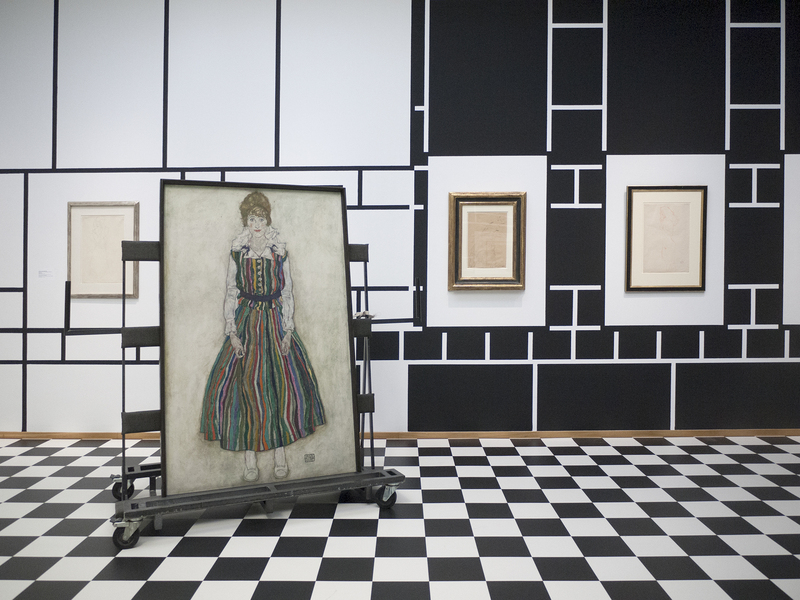 Judith I, the famous painting by Gustav Klimt is now hanging in the Gemeentemuseum The Hague next to Egon Schiele’s Portrait of Edith. From Saturday on, fans can come and admire the work. At first sight, it seems to be quite a lovely work. 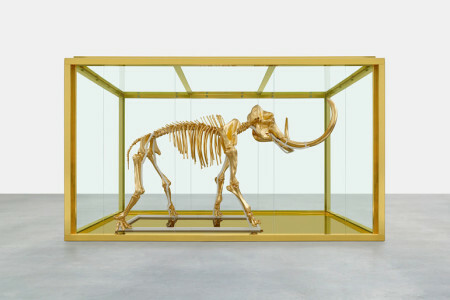 A beautiful woman, half undressed, painted in gold and fluid lines. But who takes a closer look sees that we are dealing here with a cruel scene: the woman, Judith, holds the bearded head of general Holofernes in her hand, cut-off just before by her personally with two powerful sword strokes. Judith I, one of the most famous paintings by the Austrian painter Gustav Klimt, is on view as of this Saturday at Gemeentemuseum The Hague. 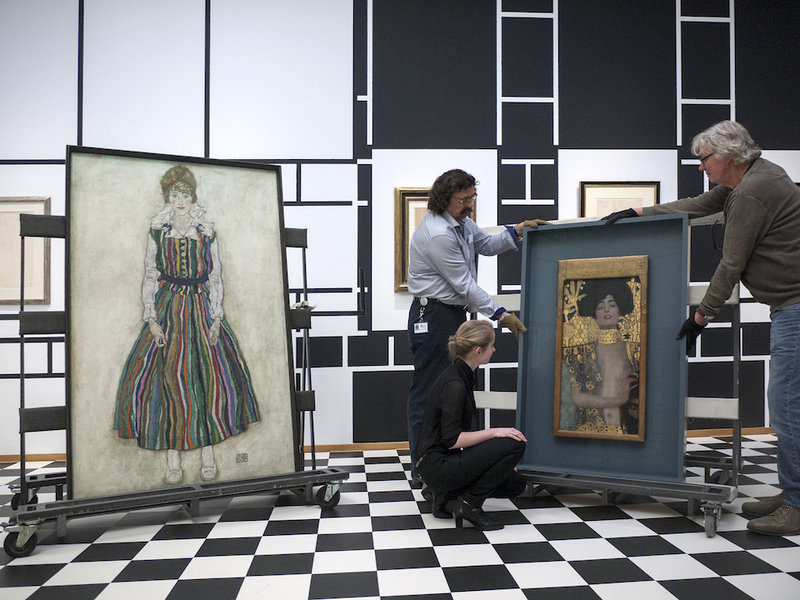 The painting from 1901 is a loan from the Österreichische Galerie Belvedere in Vienna and ‘a dream come true’ according to Benno Tempel, director of the Gemeentemuseum. ‘The painting rarely leaves Vienna’. Shy Edith and sensuous Judith, together at the Gemeentemuseum The Hague. Photo: Kristine Nørgaard Andersen. No, then Schiele’s Edith, that is much more coy. Schiele portrayed his wife Edith in 1915, just before their wedding, in a fragile pose, as an almost shy and cautious girl. She is wearing a striped dress, that she made especially for the wedding out of curtain fabric. The painting emits a certain tragedy, as if Schiele had foresight: three years after the portrait, Edith – pregnant with their child – dies together with her husband of the Spanish flu. Judith I and Portrait of Edith can be admired until 19 juni in the Gemeentemuseum.